The Brooklyn Paper bumped into David Childs last week, during the opening of his SOM colleague Roger Duffy's new Toren condo tower, and the BKP is reporting the surprising news that both could possibly be working on some of the 16 residential towers proposed for Bruce Ratner's nearby Atlantic Yards development. 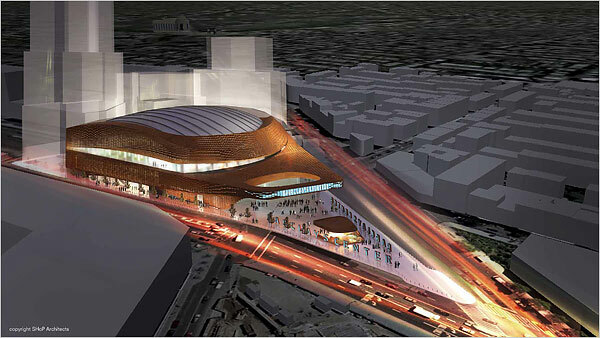 “First, he brought me in to look at the arena design, which I think is very good now,” Childs said, referring to the current design collaboration between Ellerbe Becket and SHoP Architects. “And then we talked about working together on the residential buildings,” added Childs. A Ratner spokesperson acknowledged Childs' discussions with Ratner to the Paper but called speculation on their future together "premature." 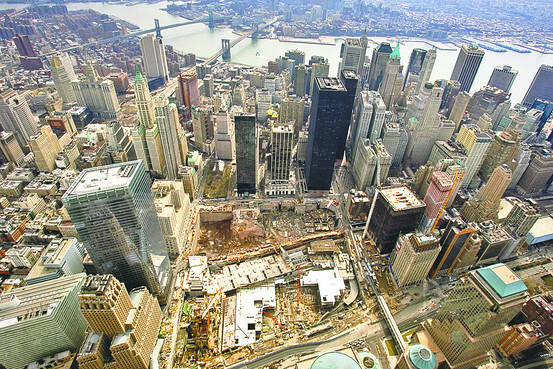 While critics still question whether those towers will ever get off the ground, the project, or at least the arena, is closer than ever to reality. 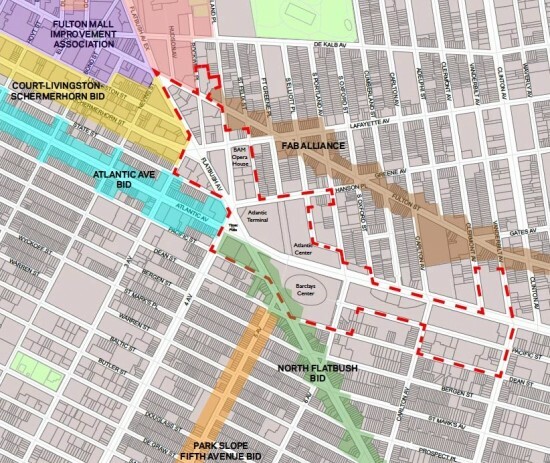 A groundbreaking is scheduled for tomorrow, following a court ruling last Monday affirming the state's right to seize land from the project's remaining holdouts, most notably Dan Goldstein of Develop Don't Destroy Brooklyn and Freddie's bar. 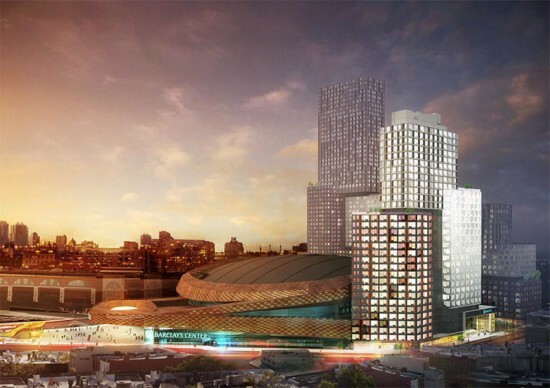 The groundbreaking is to be attended by the likes of Mayor Michael Bloomberg, Borough President Marty Markowitz—both long-time supporters of the project—as well as Governor David Paterson and rapper and Nets-part-owner Jay-Z. Goldstein and Freddie's are holding a counter-groundbreaking, where they say they will bury the soul of Brooklyn, along with 3-foot-tall bobbleheads of the aforementioned public figures. Whether this will finally manage to stop the contentious project remains to be seen, but it's bound to make for good street theater. 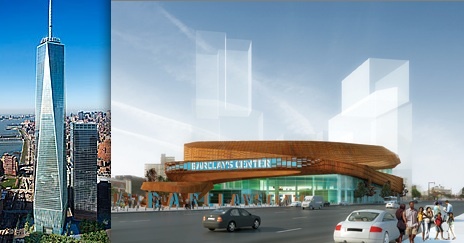 UPDATE 3/11: The Brooklyn Paper is also reporting that the final lawsuit pending against the project, over the state's revisions to the scope of the project, came down in Ratner's favor yesterday. And so the fait accompli has been accomplished. 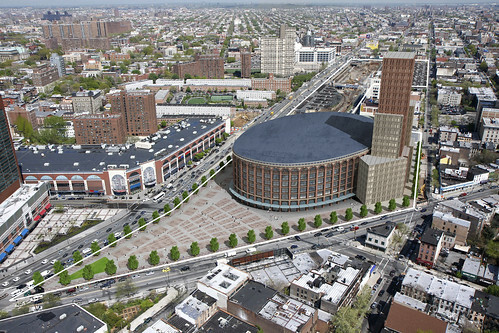 There may be a few hoops left to jump through before Bruce Ratner can begin construction of his SHoP- and Ellerbe Becket-designed arena for the Brooklyn, né New Jersey, Nets, such as completing a partial sale of the team to a Russian oligarch, prevailing in some outstanding lawsuits, and going ahead with eminent domain against the area's remaining holdouts. 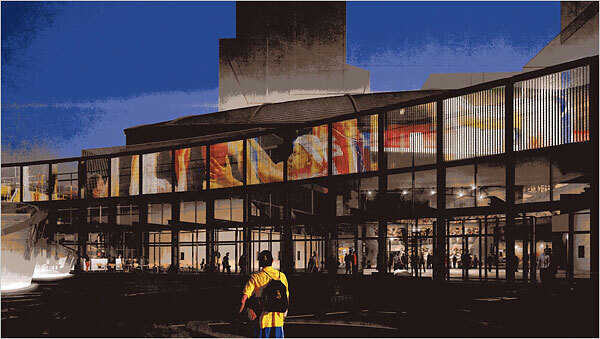 But the developer appears to have cleared the final major hurdle standing in his way with the successful sale of $511 million in tax-exempt bonds today for his $900 million arena. (There are still taxed bonds and an equity stake to be taken care of, but they lacked the December 31 deadline.) Yes, those hoops may still present challenges, but none had the same drop-dead, end-of-the-year deadline the bonds did, and they seemed the likeliest chance for the project's opponents to succeed. 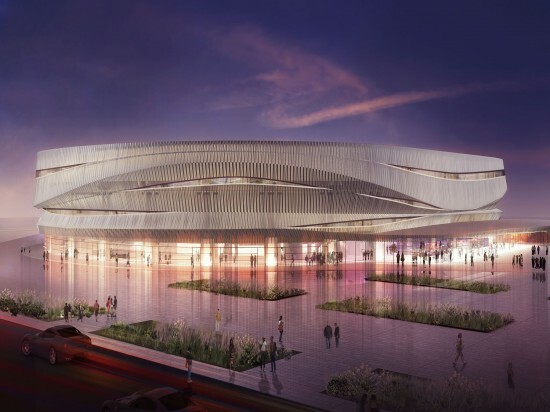 Instead, they sold briskly in a matter of hours, or, as Ratner put it in a release, "The interest in the arena bond offering was beyond our expectations," expectations that have always been highly optimistic, though also always on the money. Perhaps this is why they are already preparing to divert traffic starting next Monday to make way for construction. 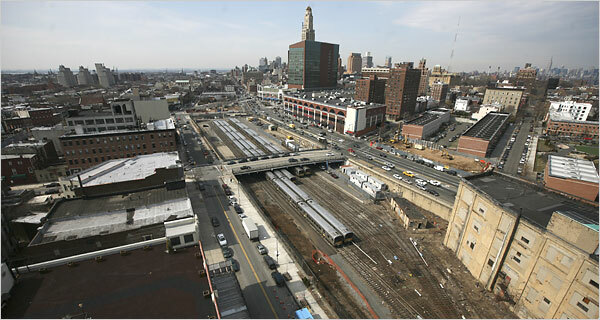 Now that the team is in doubt, would the Atlantic Yards project still enjoy the full support of the borough president without one of its foremost reasons for being? Markowitz's office has yet to respond on that front. No word yet from Forest City Ratner, either.